Karaoke Night! Saturday Night - 6 - 11. C'mon out and SING! Fox's BBQ rated #1 Vet Affiliated BBQ joint in the United States! 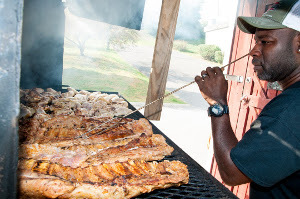 Lifezette rates Fox's BBQ as the #1 Veteran affiliated BBQ joint in the United States! Read about it here. To see our upcoming live events at Fox's BBQ. Come on in for some of the best catfish in Clarksville! Mr. Fox's first establishment was just a small trailer but he soon outgrew that trailer. 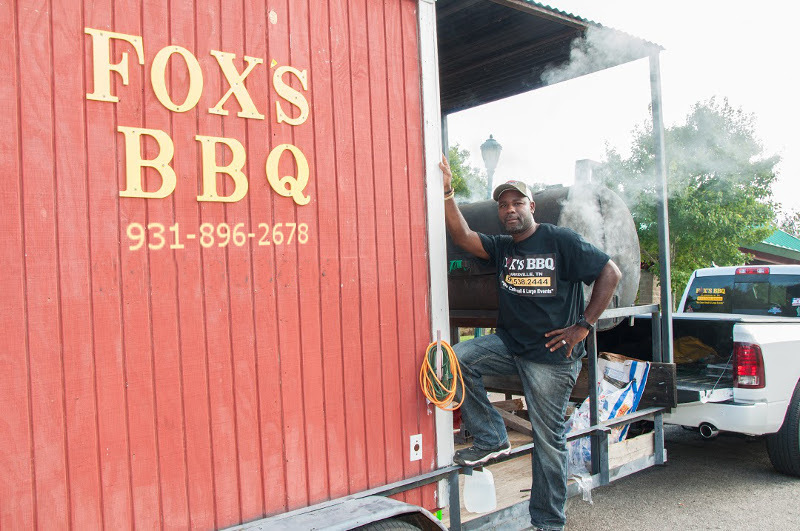 Working roadside vending and various events for a few years, Fox's BBQ eventually landed a more permanent location on Trenton Rd. near Tiny Town. 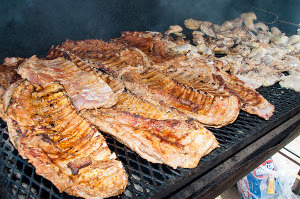 Fox's BBQ was there for 3 years and enjoyed an ever increasing customer business, including a more important presence in the catering business. While at that location, Mr. Fox was solicited to become an approved vendor on Ft. Campbell. Fox's BBQ moved to Ft. Campbell for six years. Fox's BBQ signature style BBQ continued to thrive both on retail business and an ever increasing demand for their catering services. As demand for their great food increased, especially their catering business, it became apparent that they really needed a full commercial kitchen. 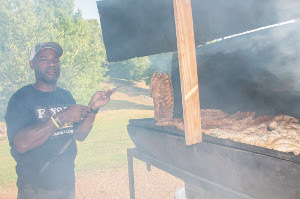 Find out why Fox's BBQ has been growing steadily for over 14 years. Visit us today or call 931-896-2678 to learn about our catering business. We'll now deliver your delicious meal right to your door. Delivery services provided by We Deliver Clarksville - Order here. 11:00 AM to closing, we're happy to deliver within 10 miles of our location. Fox's BBQ now serves beer! Fox's BBQ is now able to serve you a cold beer with your meal! See our menu for the selection.